Member of the Shura council Ali Al-Bujairi demanded the Saudi-led coalition, which fighting in support of Yemen's legitimate government, to leave Yemen which has been ravaged by a five-year conflict. Al-Bujairi, who is from the southern province of Abyan, posted on Twitter: "I say to the coalition states, don't open needless war fronts with Yemenis in Socotra and Mahara. You have disrespected the Yemeni people a lot. The people have been so patient with you, but now see more patience as a shame. Hands off Yemen before you fall in the trap. Your arrogance and futility have increased; and the enemy awaits for you". Al-Bujairi has been demanding for the separation of the south from the north since the era of former president Ali Abdullah Saleh. But now he is for a Yemeni federation. In September 2017, internationally recognised president Abdrabbuh Mansur Hadi appointed him in the Shura Council. He is also a leader in the southern movement which was founded in 2007. More recently, he blasted the political leadership, accusing it of giving up their dignity and the country's sovereignty. On 2nd April, he tweeted: "The Yemeni people announce the loss of their political leadership and communication with it. This announcement came from Mahrah and Socotra which have been swallowed by the scum of the earth and dance club fans from around the globe". In an interview with Aljazeera Channel in mid-February, he said he was aware of the UAE conspiracy in Yemen in the third and fourth months of the Saudi/UAE-led bombing campaign, adding that he told Saudis at the time that Abu Dhabi was plotting against the Yemenis and the Saudis. The presence of the Saudi forces in Mahra will have serious consequences on these forces, affirming the local tribes and sons of Mahrah refuse the Saudi presence in their province. The UAE is controlling everything in the south, he said, attacking the UAE-backed pro-separation southern transitional council by saying this council's position has weakened the country's sovereignty. "I am not against the council but completely reject the idea of separation," he said, accusing the UAE of importing drugs into south Yemen. 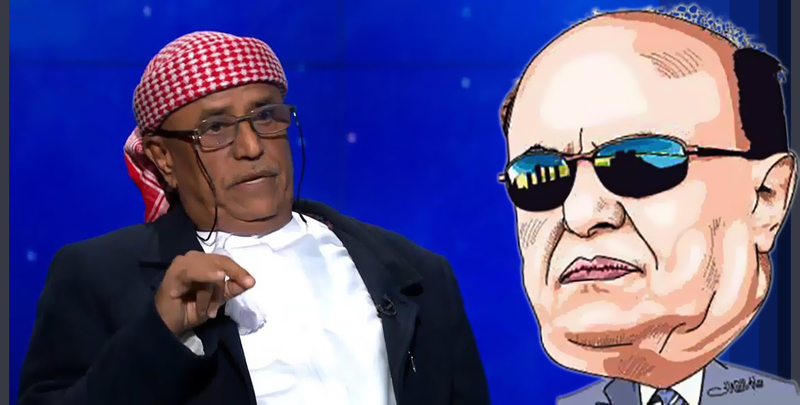 "If President Hadi calls for an uprising against the coalition, all the people will rise". Moreover, he held vice president of the southern transitional council Hani bin Breik and the UAE responsible for assassinations in the south, saying he has evidence for that.